Was James Gageby at Valley Forge? Below is a rubbing from an engraving in the above Bell Tower at the Washington Memorial at Valley Forge. The names listed in the Bell Tower at the Washington Memorial at Valley Forge were placed there by members of the D.A.R. If you had an ancestor whose name you wanted on the wall, you paid a fee and it was placed there accordingly. The names cover many of the American Wars from the American Revolution to Korea--so the name on the walls could be from any of those wars. The funds raised by the D.A.R. 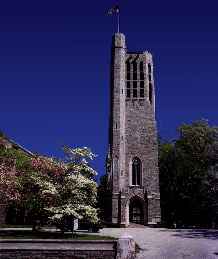 then built the bell tower which was dedicated in 1953. So who paid to have James Gageby's name placed there? Was James Gageby at Valley Forge?